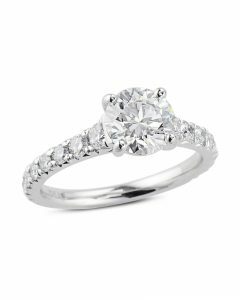 A classic pear shaped diamond engagement ring is designed for the woman with an active lifestyle and incredible taste. 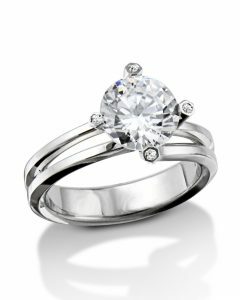 Exclusive to Turgeon Raine, the soft curves of the rounded band made in precious platinum makes the center stone the focal point of this simple yet stunning engagement ring. 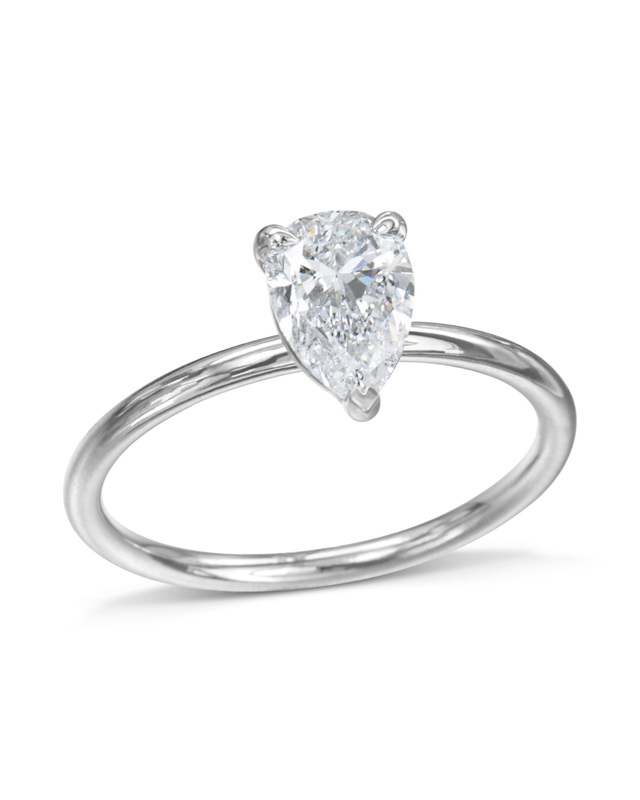 Pear shaped diamonds have a unique silhouette which makes this ring a stunning symbol of love. 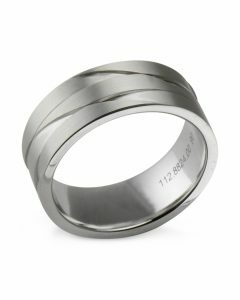 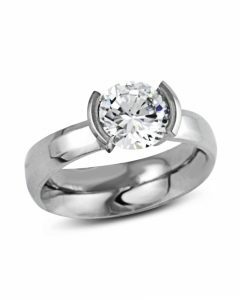 It is designed to have wedding bands perfectly nestle underneath your beautiful diamond.